The T394, more fun per acre than any machine in its class. For any work you do, a workhorse always helps. With that in mind, we've crafted our newest addition to the subcompact line to provide the utmost versatility down to the last detail. 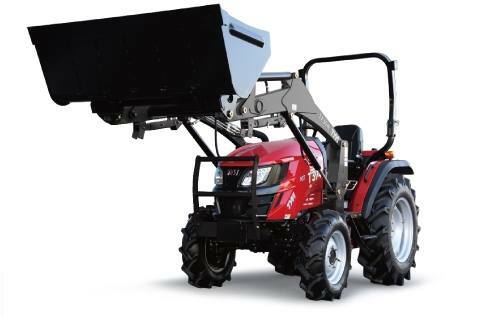 Hydraulic Lift Capacity - 2646 lbs: The lift capacity of 2646 lbs provides sufficient power to control the rear implement and the position level sets the height of the implement just as you want it. Yanmar Diesel Engine: Reliable, powerful, and rugged. 37.4 gross horsepower Maximum fuel efficiency 3 cylinder, liquid cooled diesel performance. 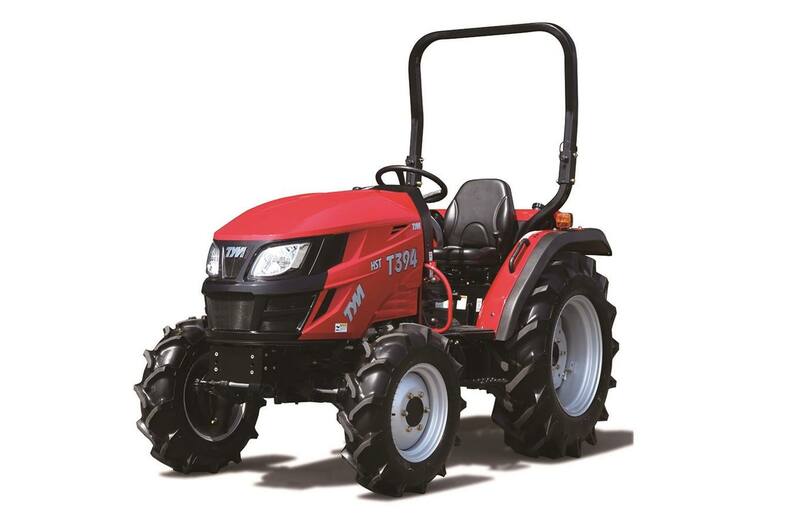 Robust Front Axles and Power Steering: Double acting power steering system gives a smoother and effortless turn and its solid front axle provides utmost satisfaction in any type of ground work. Heated and Air Conditioned Cabin: The T394 CAB model comes standard with full heat, air conditioning, and a new and improved air filtration system. Hydro Static Transmission: with a 3 range speed control provides comfortable and easy operating conditions. Factory Installed Joystick Lever: and remote valves for front attachment are standard in T394 and its family model. Ultra Bright Headlights and Work Lamps: The T394 CAB comes equipped standard with two front work lamps and one rear lamp, providing the light you need for those important night missions. One-touch hood open: The T394 comes equipped with hydraulics and an easily accessible pull pin to allow for a quick and easy way to maintenance your tractor. Windshield Wipers: The T394 offers front and rear in order to keep you going through even the toughest weather. Digital Instrument Panel: The provides a clear display for engine errors, gas gauge, as well as speed(rpm).